I was antsy for 2014 to give way to 2015. Once Wylie died, I was eager for a new year, a fresh start; it seemed like a plausible way to crawl myself out of the hole I'd found myself in. The walls of despair and doom and pain seemed climbable once the proverbial slate was wiped clean. In actuality, it didn't really pan out that way. 2015 was the year I found myself diagnosed with unexplained secondary infertility and a grim report on interventions being successful (and not gestating another child whose heart would be too broken to survive). 2014 pulled the rug out from under me and knocked me to the ground and 2015 just kept up the brutal assault. I didn't have much hope for 2016 other than to keep surviving. 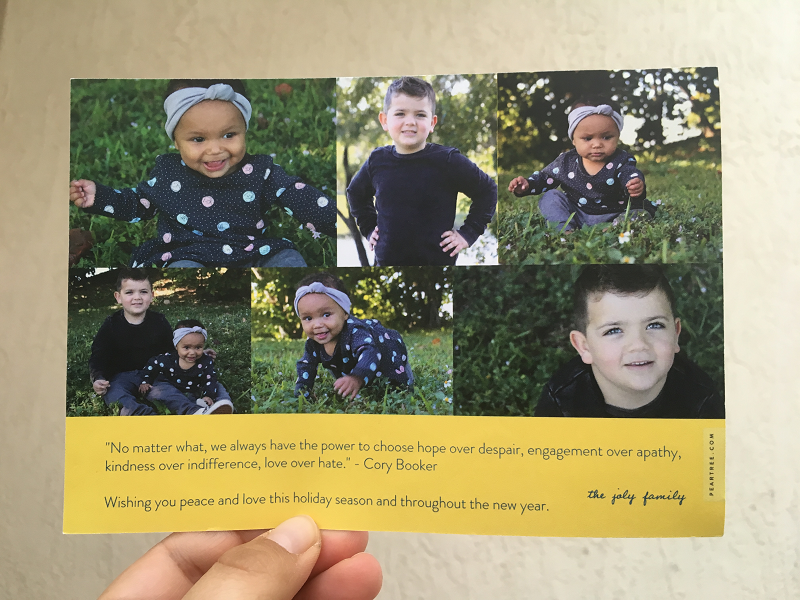 We had finalized our plans to begin the adoption process but yet happiness seemed so far away. It wasn't long into 2016 that we got the call that would change our lives forever: she chose you to parent, and the baby was just born. And then this year, 2016, unfolded in all of it's glory. There was uproarious laughter and chaos and crying and bottles and juggling schedules and messy living room floors and perfection, all of it. Each day like a dream, a sleep-deprived stupor in which two small children were both reaching to me with arms outstretched; both capable of being held, carried, rocked in my arms. Real. Really real. Two children needing to be fed and needing me, all of me, until I wearily fell asleep each night so drained and yet so full. So very full. I am apprehensive about the new year and what it means in terms of the ugliness and hatred that seems to have coated this country. I am saddened by the steps back we have taken as a society and intimidated by the height of the mountain we must climb to reclaim the victory of kindness. But 2016 gave me my fight back. It gave me my will to go on, to know that I can take on a lot more than I ever believed possible. 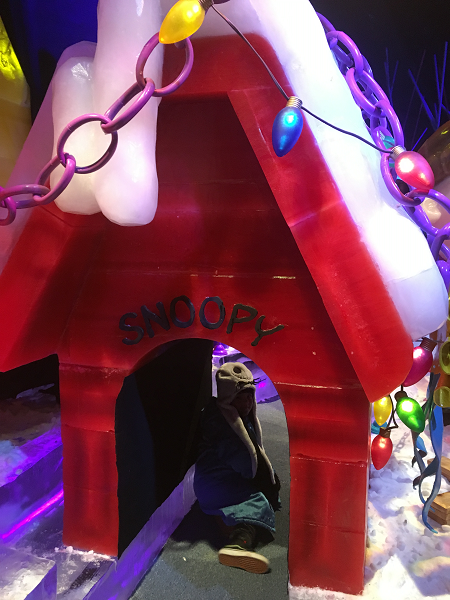 When I was in college and living in Orlando, my friends and I always made sure to visit ICE at Gaylord Palms. If you've never been before, let me fill you in on why it's so incredible. 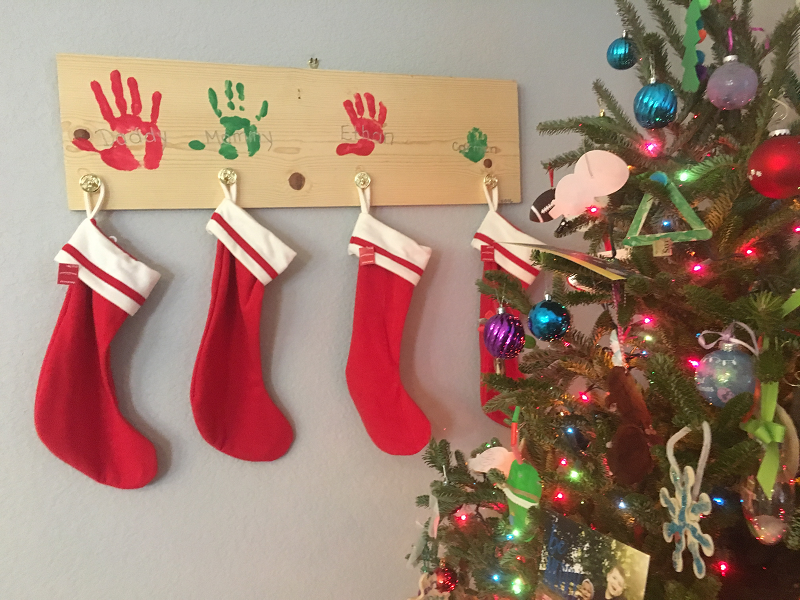 For one, it's Florida -- which means we're ready for another 82 degree Christmas. However, inside of ICE, it's a chilly 9 degrees! Us Floridians get to layer -- including one of the signature blue, warm parkas that Gaylord Palms hands out to guests. It gives that real winter experience. 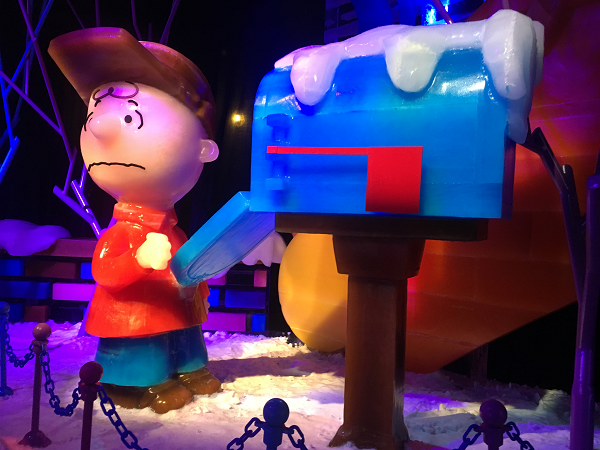 There are also two million pounds of hand carved ice sculptures, with a theme that changes every year. When you get to see these ice sculptures up close, it's just absolutely breathtaking. 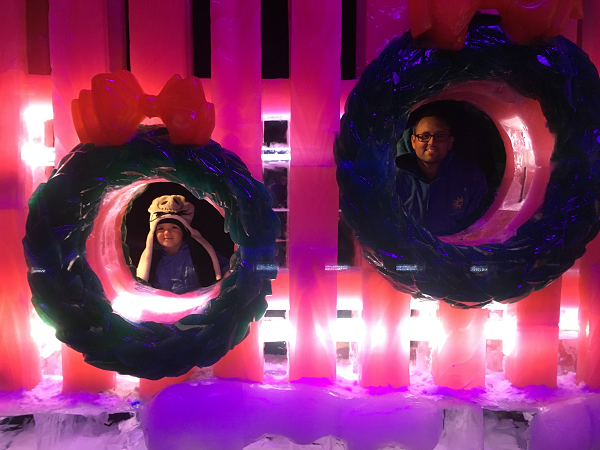 My college days are (long) over and we no longer reside in Orlando, but I knew ICE had to be one of those familial traditions because as magical as it is to us, it's going to be infinitely more magical to see through the eyes of our children. 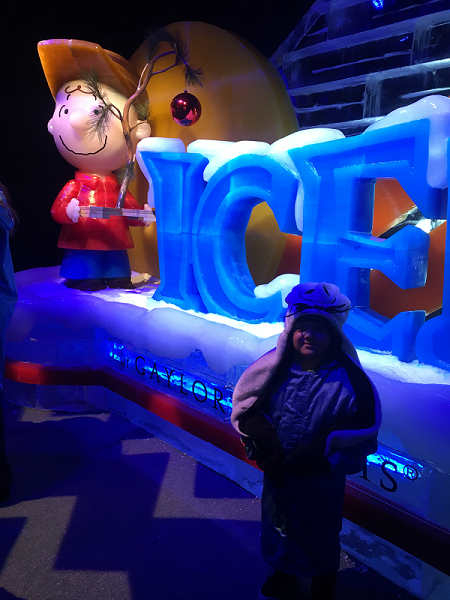 We left Carmen with my parents this year due to her being so little and the chilly temperatures inside of ICE, but Ethan was so excited to attend ICE this year. 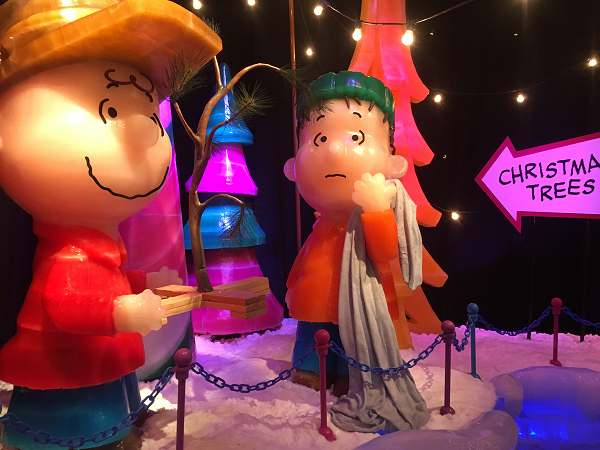 This year's theme was A Charlie Brown Christmas. This is one of Ethan's favorite parts of Christmas. 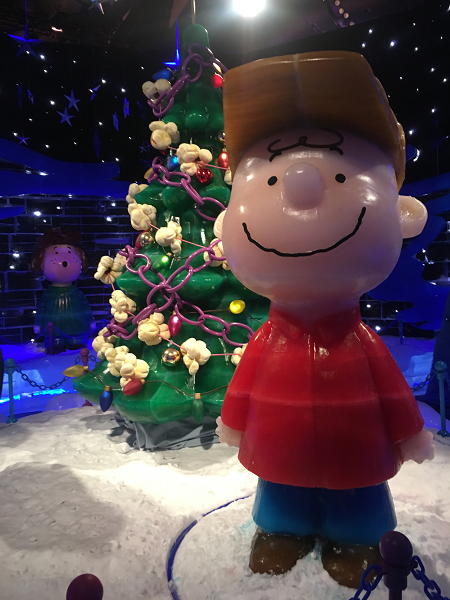 He loves Charlie Brown, he loves Snoopy, he loves the entire Peanuts gang and their Christmas adventures and movie and books (and dinnerware and collectibles -- he has them all). We attended ICE on Thanksgiving weekend, on a Saturday night. It was busy, but I have to high-five Gaylord Palms on their efficiency. 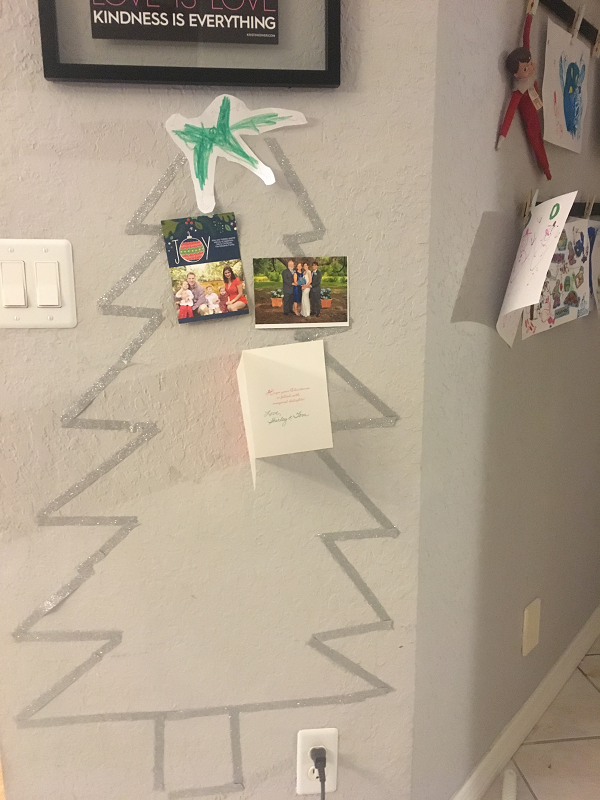 The lines are wrapped enough from room to room that you're always moving (and little ones don't get too impatient). The line moved rather quickly and after only a short, painless wait, it was time to enter the exhibit! 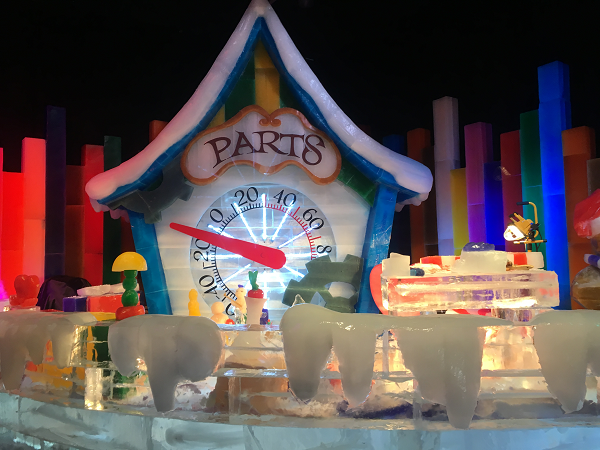 While you cannot touch the ice sculptures, there are FOUR ice slides that children and adults alike can slide down as many times as they wish. Ethan was still a little unsure about the slides this year, but I know next year this will be his favorite part of the exhibit! 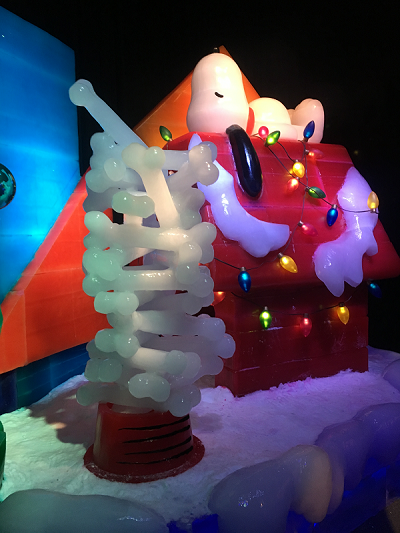 In addition to the ice slides, there are a few more interactive parts of the ICE exhibit, including many photo ops and a crawl-through Snoopy's doghouse! 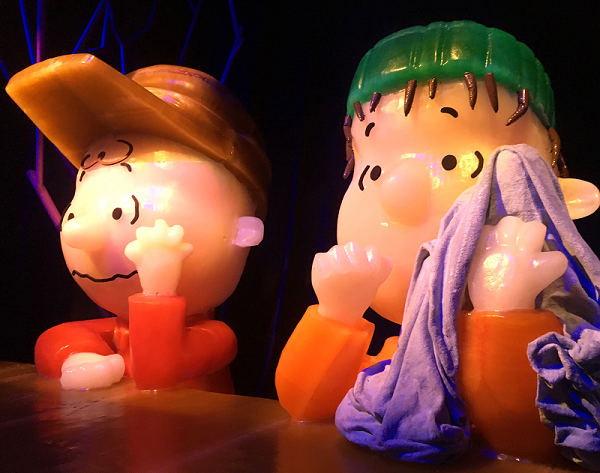 From room to room, you get to venture into a new chapter of A Charlie Brown Christmas and see all of your favorite characters. The soundtrack to the film plays overhead, and in some rooms you get to hear the characters acting out the scene that is displayed in front of you in the ice. 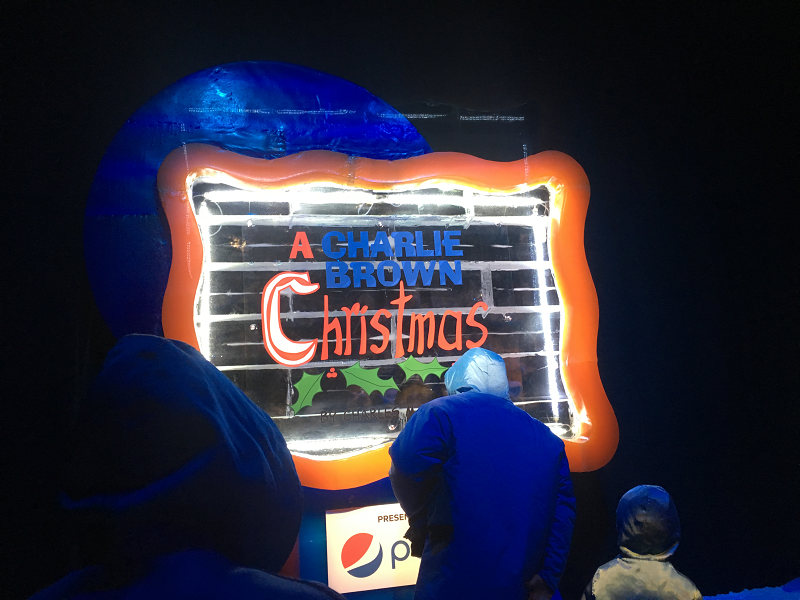 We also had the cool opportunity to see a demonstration done by one of the ice sculpture artists at the Frostbite Factory. Once you've taken in the display (you can walk through as many times as you would like! ), you can exit, ditch your parka and purchase some hot cocoa to warm up. The entire lobby is decorated like a winter wonderland, filled with trees and lights and a Build-A-Bear factory and a gift shop that looks real enough to truly be the North Pole. 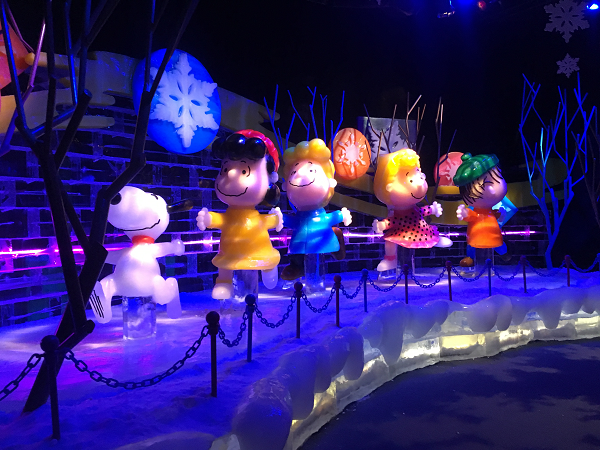 Although ICE is the event you came for, the Christmas experience begins the moment you step foot into the Gaylord Palms lobby. ICE runs through January 1st and tickets can still be purchased online. If you're making the trip, check out their packages for snow tubing and other special events! 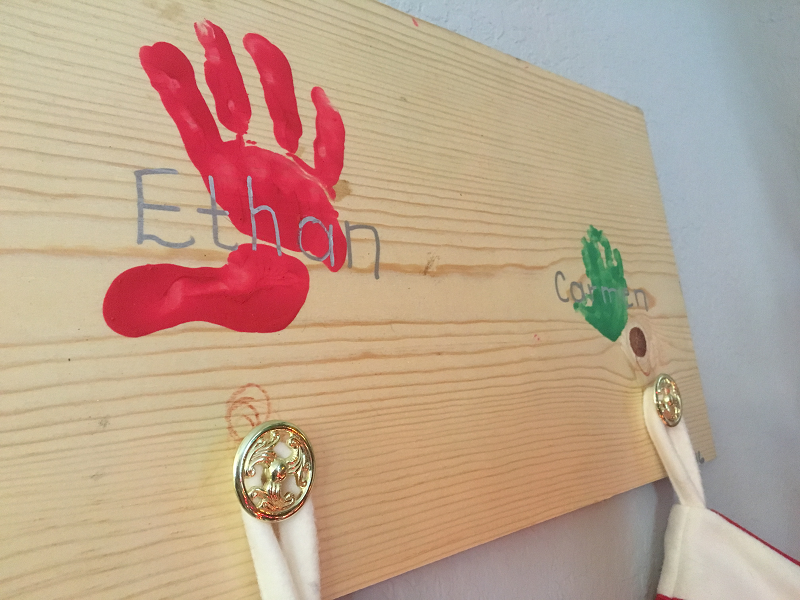 When Ethan was first born, I signed myself up for every mommy and me class I could find in the tri-county area. Every playgroup. Every meet-up. On Tuesday mornings, I would drive thirty minutes away just to participate in a library story time. And every other day of the week, we had another activity or adventure or playdate. Never someone to socialize willingly or reach out to meet new people, I found it easier when I entered the phase of my life that is motherhood: we were all in this together. It's like someone pushed the reset button on life and, in a room of 20 strangers, we were all suddenly standing on the same starting line. No one knew why the babies cried for hours on end, and everyone worried about screen time and what finger foods should be started first. Once Wylie died, I stopped being able to relate to everyone. Other mothers continued on with their subsequent pregnancies: second, third. Other mothers shared memes about wanting a silent night during the holidays when all I wanted was the chaos of two children fighting over who could see Santa's gifts first. This want became a compulsion that made breathing difficult, and living next to impossible. Other moms shared first day of school photos as I held onto my ever-growing, brilliant boy and wondered how this phase of my life could be over. Was it over? I didn't know. As other mothers sat and debated the pros and cons of having more children, I slipped deeper into grief and loss and infertility, unable to even have a choice in the matter. I was no longer able to relate to anyone, even those I used to relate to. "Are you going to have another?" cuts your body open like a knife. "Don't you want to give him a sibling?" spills your blood all over that library carpeting. I've come a long way in my loss and infertility journey. At some point, we made the decision that I did not want my body to ever carry another pregnancy. While permanent birth control measures were our choice, it was a choice made by circumstance and a perspective I wish I never had. It was a choice made because it was the only one, and there will always be mourning and longing for the dreams that died with our first daughter. I nod and smile and make my way through the murkiness that is other mothers laughingly sharing their birth stories and diagnosing themselves with baby fever and swooning over their friend's big, pregnant bellies and squishy newborns. At times, it feels like I am unfamiliar with the language being spoken when I'm surrounded by other mothers. I can no longer relate to them. When Carmen was placed into our arms for the first time, I felt pieces of my body coming back to life again. She is here, and the brilliance and magnitude of that is not lost on any of us. When I see my first born off to school this January, I will still retreat home and diaper and care for my miraculous daughter. I will still take her to mommy and me classes and playgroups. I will be soaking in every ounce of her brilliance and hope and beauty because her smile is what fuels me. While I am still a mother in a room of twenty mothers, I am still unable to relate to most other mothers. Sometimes I catch myself calling them regular mothers. "She looks just like you," mothers reassure their mom friends. "He has your smile," they say as they admire their children. I am the mother who receives stares when out in public with my two children, the ones who receives friendly banter at the park by nosy parents trying to figure out our dynamic. I am mistaken for a nanny often, or it is assumed one of my two children isn't truly mine. Once, I was asked nonchalantly if my children have different fathers. Well-meaning friends and relatives meet our lack of shared physical characteristics with pity, which I do not understand. 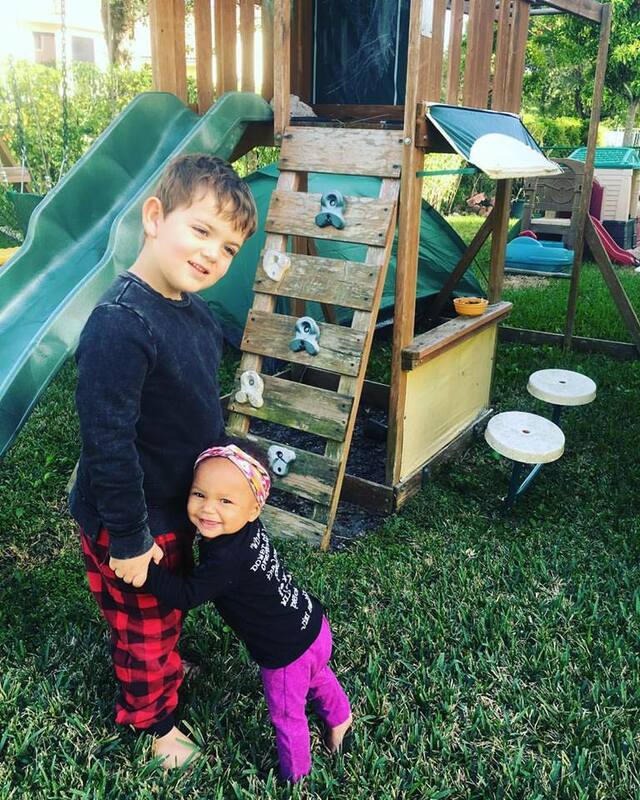 When it comes down to family, little is less important than who a child resembles. On my journey into motherhood, the rough and sharp edges and dangerous turns and twists that got me to where I am now in current day, I was fortunate enough to meet many others who find themselves unable to relate to regular mothers. Some have experienced heartbreak and loss. Others have had to rely on science so intricate it is hard to fathom. Others also have little ones who don't have their hair or eyes or smile. I am grateful for the others, these others. I have been many things over the last few years but alone never had to be one of them. 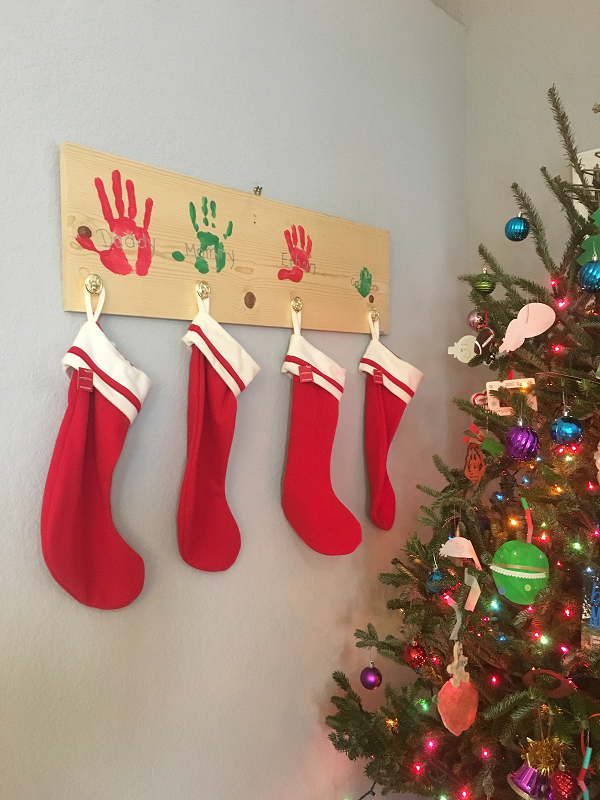 As this holiday season begins and there are gifts for two children under our tree -- two children sleeping soundly in their beds, two children who shared Santa's lap this year -- I am beside myself with love and gratitude and disbelief that life can be as beautiful as it is in this very moment. I am complete and whole in ways that I never thought possible. Sometimes it takes a while to realize that although you cannot relate to your peers, you aren't broken. Different is not broken. Different is not hopeless. Different is not doomed. 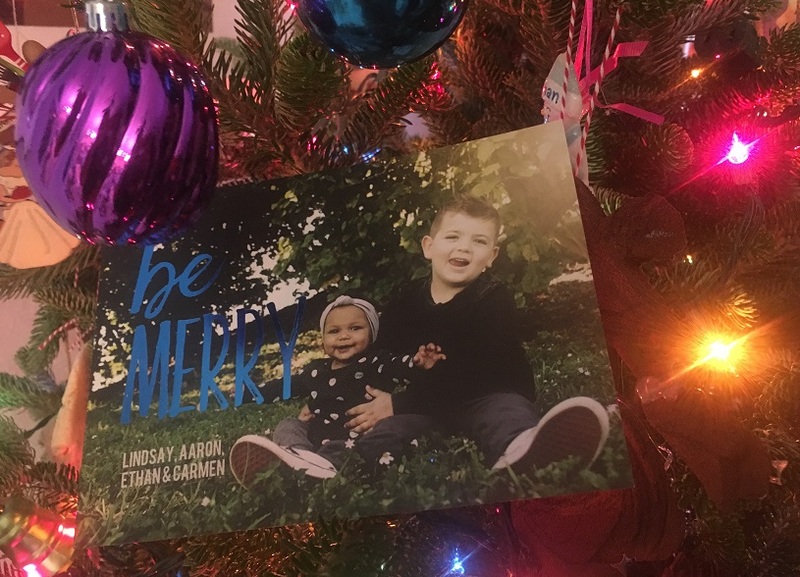 In all of our exhaustion, our children got to sit on Santa’s lap and Ethan got to ask the jolly guy for an electric toothbrush which is one of two items on his wishlist this year. (The other is a game of Yeti in my Spaghetti, which he’s been begging me for since he saw it on the shelves at Target a few months ago.) 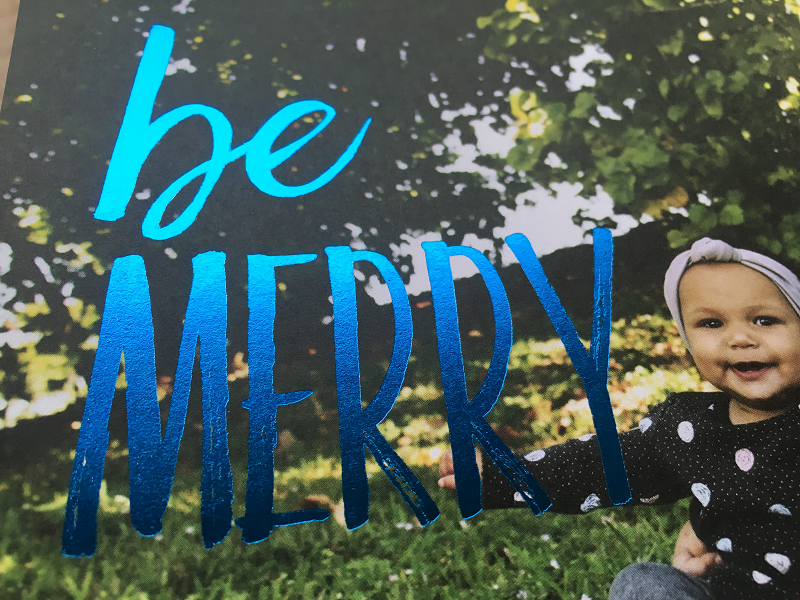 Carmen decided that Santa was pretty much the only human being she doesn't want near her and pouted through the process, but there was still magic in seeing my children step up and having the photographer let Santa know there would be two children in this family. Last year, the sting of Ethan being the only child without a sibling in the Santa line stung especially hard and I had to excuse myself to the mall bathroom to cry. This year, there they were, my two children clad in matching outfits. 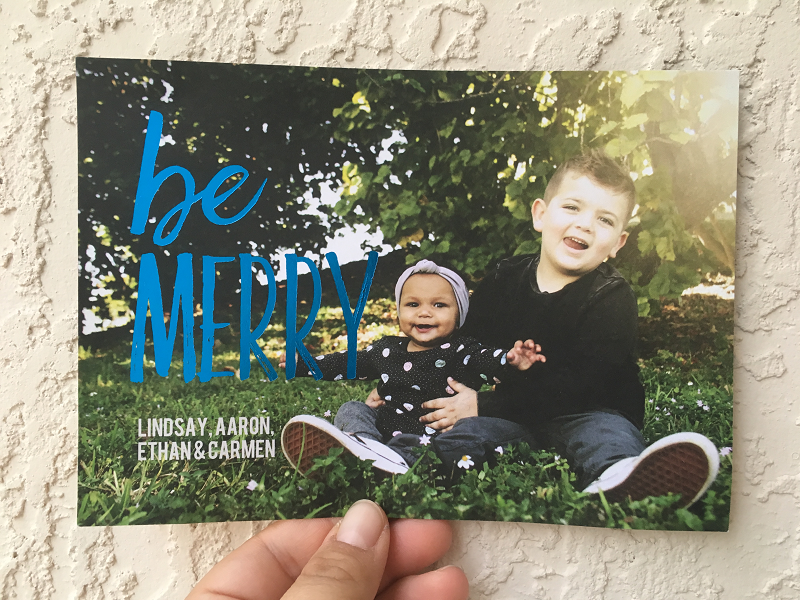 For once, Ethan was the one with the smiles and cheer while Carmen stared with a wrinkled brow at the guy in the red suit. The pictures just kind of mean a lot more than just being pictures, if it makes sense at all.